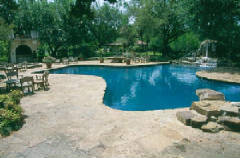 We offer full service Pool Repair. We can repair and/or replace all major brands of swimming pool equipment. Everything from pumps, motors, heaters and filters to pool cleaners and automation systems. Our Total Inspection will check all key components of your pool. Our technician will provide an assessment and recommendations. We have complete motor repair including: an item stuck in the blade, a loud bearing, and a total replacement. Our pool repair department offers a full line of Salt Systsms. Salt provides a preferred experience, texture and feeling to many pool owners. We do installation, repair and replacement. Get ready for the colder nights to come. We do repair and replacement. Our pool repair department works with all brands of Filters: DE, Cartridge, & Sand. Get ready for the summer fun. To keep your pool sparkling clean, your filter is the most important component of your pool. We do filter cleans, filter grid replacements, and total filter unit replacements. We fix leaks you can see and the ones you cannot. Call us for a complete review of your pool. Have our pool repair department inspect your Freeze Unit. Get ready for the freeze before it arrives. 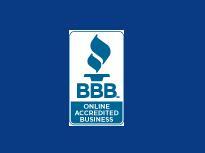 We do check-ups, repair, and units replacements.